Palm Harbor's Wescott Square Villas offers a peaceful view on the Brooker Creek Preserve in the East Lake area of Florida. These units offer a generous amount of square feet with two and three bedrooms including a fireplace, a formal dining room, an indoor laundry room and a two car garage. A screened patio and a tile roof is definitely a bonus that many condos and townhomes don't offer - along with an atrium with endless opportunities for a garden or a private sunning area. Located near lots of shopping and entertainment, a state park, the PinellasTrail, YMCA, golf and much more. Enjoy this quiet community away from busy roads. This one should be on your shopping list. Selling your Home in Wescott Square? 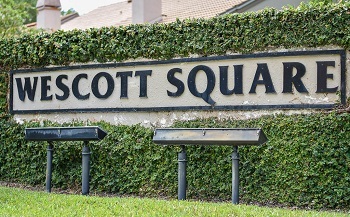 Looking for an agent to help you sell your home in Wescott Square? Call Lipply Real Estate about a quote today. Our team has been selling homes in the Palm Harbor area since 2002, building a strong client base among the community. We are confident that we can also sell your home in a fast and effective manner. Contact us today by entering you information in the form below or calling an agent directly at 727-314-1000. We look forward to working with you!